The INSEAD Alumni Forums bring together hundreds of INSEAD alumni from different locations around the world, to discuss defining topics of our time with world-class speakers from business, government and academia. 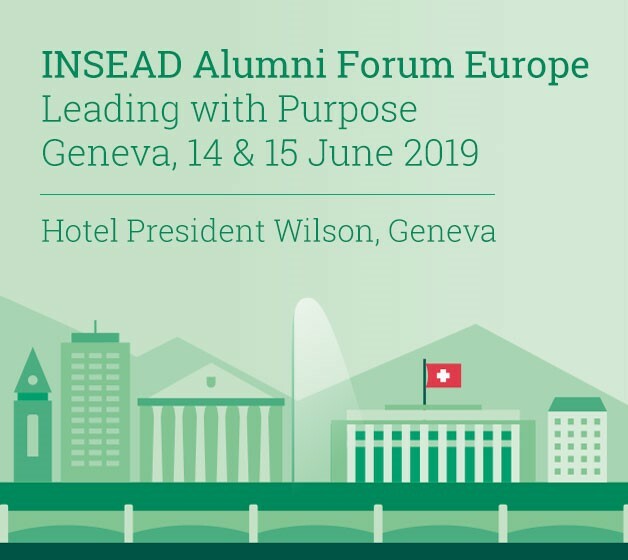 The Hotel President Wilson in Geneva, Switzerland, is the site for the 6th edition of the INSEAD Alumni Forum Europe on 14 & 15 June 2019. The forum will explore topics related to leading with purpose and the dual challenge that business leaders face today, namely that of contributing to social progress while delivering economic performance. The organizing committee has designed a robust programme that will equip participants with first-hand knowledge of the latest, cutting-edge research led by INSEAD faculty, as well as a number of workshops and parallel sessions designed to support evolution as a leader and meet ongoing learning needs. The forum will end with a gala evening, held at Le Parc des Eaux-Vives, an 18th century Manor House on the banks of Lake Geneva. Visit the INSEAD Alumni Forum Europe 2019 website https://www.insead.edu/events/alumni-forum-europe-2019 for further details about the speakers and programme.